Members of the Chi Chapter of the Omega Psi Phi Fraternity, Inc. at Edward Waters College will continue their water drive for Flint, Michigan residents Wednesday, March 2nd on the Centennial Lawn from 11:00 a.m. – 2:00 p.m. The students began collecting water upon hearing that the water supply in Flint, Michigan was contaminated with lead. 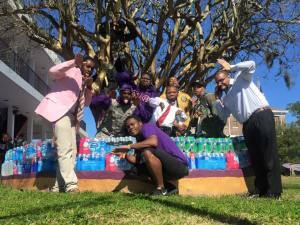 Greyhound Transit has agreed to provide free transportation for the fraternity and the water. The group will leave for the 18-20 hour bus ride to Flint, Michigan March 14th. 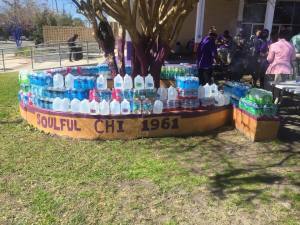 Anyone interested in donating water can contact the Chapter President, Antinaris Davis, at 786-837-1041 or email the group at chichapterques@gmail.com. 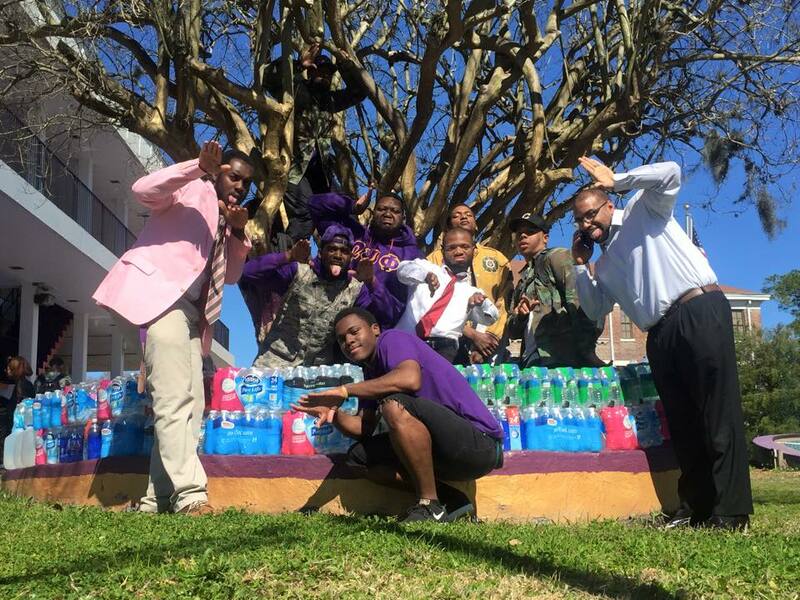 There are currently 11 active members in the Chi Chapter of the Omega Psi Phi Fraternity at Edward Waters College. The Omega Psi Phi Fraternity, Inc. was created on the campus of Yale University in 1921. Edward Waters College was granted the Chi Chapter in 1961. 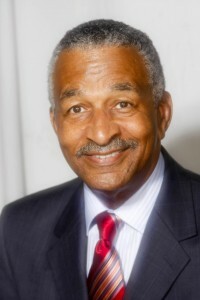 Members of the Chi Chapter include former Sheriff of Jacksonville and current President of Edward Waters College, Dr. Nathaniel Glover.